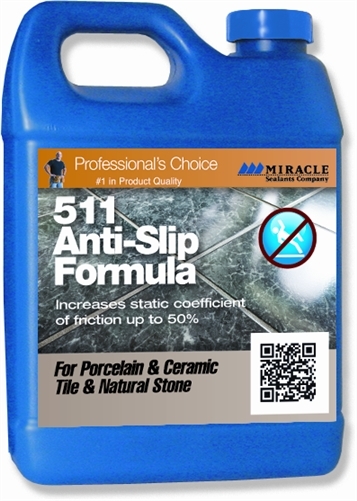 Miracle Sealants 511 Anti-Slip Formula is a penetrating sealer designed for the anti-slip protection of all tile and stone surfaces. Miracle Sealants 511 Anti-Slip Formula Sealer is not a surface coating and will not alter the natural look. All surfaces treated are less slippery. It covers approximately 125 - 750 square feet per quart.